Oil fluctuated near $52 a barrel in New York amid signs that crude inventories fell again in the US, the world’s biggest consumer. Futures slipped 0.9% after settling 3.2% higher on Tuesday. 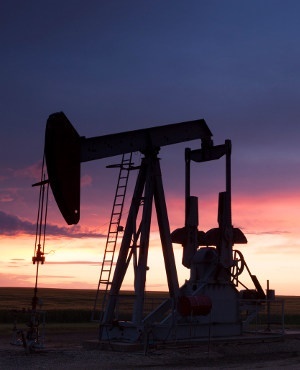 US crude stockpiles fell by 560 000 barrels last week, an industry report was said to show, a smaller decline than that forecast in a Bloomberg survey before government data due Wednesday. Saudi Arabia’s energy minister said he was sure inventories will start to "return to normal averages and this will increase confidence" in the market. Crude has stayed above $50 a barrel for a week, holding on to its advance this year after collapsing nearly 40% last quarter. The recent momentum has been spurred by improving trade relations between the US and China, as well as the start of the 1.2 million barrels a day of pledged output curbs by Saudi Arabia, Russia and other major producers. Still, prices remain more than 30 percent below a four-year high in early October. "Production cuts by OPEC+ together with lower prices will, in our view, be enough to balance the market, thus avoiding a strong rise in inventories," said Bjarne Schieldrop, Oslo-based chief commodities analyst at SEB AB. West Texas Intermediate for February delivery was at $51.64 a barrel on the New York Mercantile Exchange, down 47 cents, at 08:08 local time. Futures climbed $1.60 on Tuesday, rebounding from a 4% decline over the previous two sessions. Brent for March settlement slipped 35 cents to $60.29 a barrel on the London-based ICE Futures Europe exchange, after rising $1.65 on Tuesday. The global benchmark crude traded at a premium of $8.36 a barrel to WTI for the same month. Saudi Arabia’s Energy Minister Khalid Al-Falih said he’s confident the output curbs pledged by the Organisation of Petroleum Exporting Countries and its allies will have a "strong impact" on the market. He had said earlier this week that the group will do more if needed and that the supply reductions are a "lifeline" to US shale drillers. America’s crude inventories probably declined by 2.5 million barrels last week, according to a Bloomberg survey. If confirmed by Energy Information Administration data on Wednesday, that will keep stockpiles near the lowest level since early November. The American Petroleum Institute was said to report stocks at the storage hub at Cushing, Oklahoma, also dropped. Other oil-market news: The US will be a net exporter of crude and refined products by September 2020, and it will be shipping out at least a million barrels a day more than it brings in by the end of next year, according to a government forecast. China’s apparent oil demand may rise 6.9% to 668 million tons this year, China National Petroleum Corporation said in an annual report released by its Economics & Technology Research Institute. Forces allied to Libya’s eastern leader Khalifa Haftar have entered the city of Sebha as part of a campaign to secure the country’s lawless south and protect its oil-producing infrastructure, his spokesman said. Oil majors Chevron Corporation, Total SA and Reliance Industries are investing in blockchain-backed digital trading platform Vakt Holdings, signaling more industry buy-in for the technology.